Let’s not mince words about the suspect in the massacre at Emanuel AME Church. He is a terrorist of the worst kind ­- the domestic variety that this nation knows so well. Nine people were gunned down Wednesday night at a Bible study inside the historic church in Charleston, S.C. The attack ignites again the uniquely American debates about guns, violence and racism. 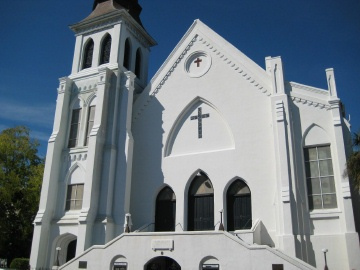 This entry was posted in National, Social issues, Uncategorized and tagged charleston, church, emanuel, shooting on June 18, 2015 by Jennifer Dokes.